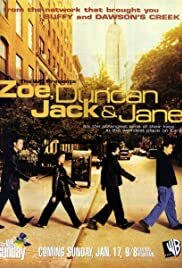 Zoe Duncan Jack and Jane is an awesome show. It is just as good as the other perfect shows that the WB has such as Buffy and Dawsons Creek. The best thing about the show is by far Selma Blair. I can't wait too see her with my favorite actress, Sarah MIchelle Gellar in Cruel Intentions. I looked her up on IMDB and was shocked to see she was in IN AND OUT and CANT HARDLY WAIT so I watched them on DVD and was shocked too see her. She is a great actress. Michael Rosenbaum is also very good, I liked his character in URBAN LEGEND. Everytime I watch it I wonder whether it won't be funny and am always delighted too see it's in tip top shape. A MUST SEE.